The world famous Harlem Globetrotters come to Rocky Top this summer for two sports camp sessions on Saturday, June 20th! Rocky Top’s instructors and camp coaches will be teaching the basics of basketball skills, while the Globetrotters encourage kids with lessons both on and off the court. Campers will have a wonderful time as they learn basketball handling tricks, teamwork, character development, and games. The Harlem Globetrotters Summer Camp is designed for boys and girls ages 6 to 14, and each camp session includes time for photos and autographs with the Globetrotters! The first session runs from 9 a.m. to noon, and the second session runs from 2 p.m. to 5 p.m. Registration is $75 per camper in advance or $90 per camper on the day of the event. 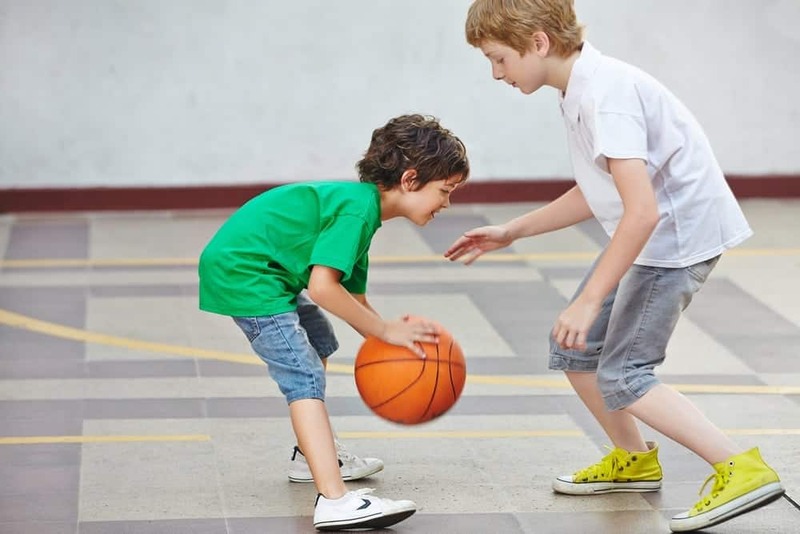 Kids learn how to become the best in basketball from some of the area’s top coaches and former college players at the Rocky Top Sports World Basketball Camp! This sports camp for boys and girls ages 5 to 14 runs from 9 a.m. to 4 p.m. daily from Monday, June 22 to Thursday, June 25. Coaches will teach the mental components of basketball in a classroom setting, as well as the physical fundamentals of shooting, passing, rebounding, ball handling, and defensive positioning. The Rocky Top Sports World Basketball Camp will help campers become a better basketball player as they practice a variety of drills and play in an organized competition. Registration for this camp is $125 per camper, and lunch is included on each day of the camp. The Rocky Top Sports World Soccer Camp focuses on challenging campers in game type scenarios and competitive drills. This camp for boys and girls ages 12 to 18 takes place from 9 a.m. to 4 p.m. daily from Monday, July 6 to Thursday, July 9. The camp will consist of a progressive format of natural skills with a major emphasis on technical development, and will include comprehensive instruction on various soccer position fundamentals and drills. Campers at Rocky Top Sports World Soccer Camp will enjoy these opportunities to improve their skills and technical abilities. Registration for this camp is $124, and lunch is included on each day of the camp. The Resort Volleyball Team Camp is one of our Gatlinburg summer camps geared for middle schoolers and high schoolers, and offers the opportunity to play just one day. The camp schedule is Monday, July 13 from 12:15 p.m. to 8:15 p.m., Tuesday July 14 from 8:30 a.m. to 5:30 p.m., and Wednesday July 15 from 10 a.m. to 4 p.m. The middle school players will receive individual instruction on all volleyball skills and teams will play a 6 vs. 6 match on the last day of the camp. The high school players will enjoy several sessions where they attend professional skills clinics led by experienced camp staff and observe demonstrations on various techniques, followed by a divisional championship in the final session. Finally, teams who cannot attend the 3 day camp are invited to attend the play day on Wednesday. The registration for the full camp is $200 per player, and the play day is $15 per player. For more information about any of our Gatlinburg summer camps, don’t hesitate to give us a call! This entry was posted in Gatlinburg Sports Events on June 16, 2015 by Jason Fishman.